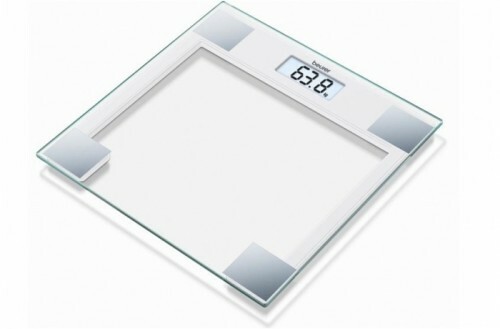 This Slimline Beurer digital glass bathroom scale features a large comfortable standing platform of slim line design safety glass. It also offers the ability to change over from kg/lb/st for your ease of use. It features an easy to read 2.5cm digital display, auto switch off, easy tap on technology and batteries are included. This stylish German design digital scale features large platform of slim line design safety glass and 5 years manufacturing warranty for your peace of mind. Please contact us on 01 4560215, to determine exact style in stock if a specific style is sought.